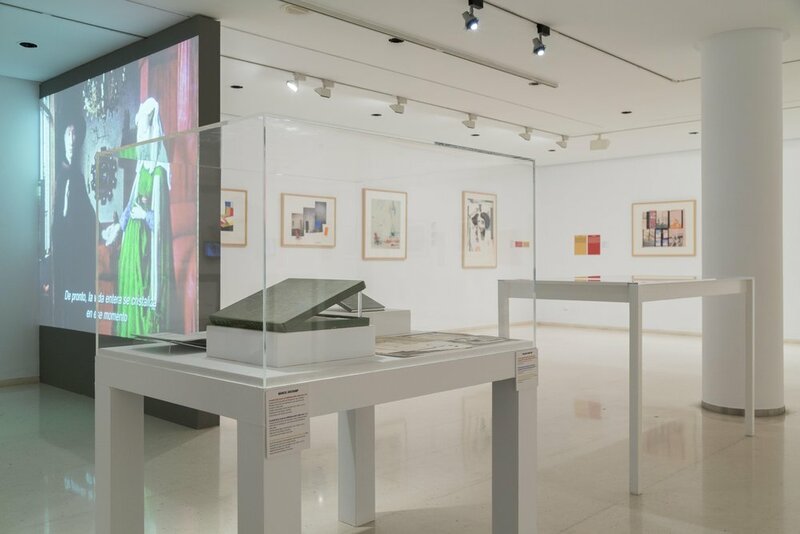 From November 2016 to February 2017, the Instituit Valencià d’Art Modern held an exhibition, "Casos De Estudio: Richard Hamilton" ("Case Study: Richard Hamilton"), which featured James Scott's 1969 film, Richard Hamilton. Check out the video tour of the show below, with curator Teresa Millet! On January 15th from 2 - 3 pm Lancaster MOAH will be screening James Scott's 1966 film Love’s Presentation in conjunction with their current exhibition, British Invasion. The film is the first in a series on contemporary artists from the late sixties and early seventies. Love’s Presentation follows the work of fellow exhibiting artist, David Hockney, as he creates his famous ‘Cavafy’ etchings. British Invasion, on view through January 22nd, explores the work of British artists living in California. The exhibition includes recent work by James Scott and David Hockney. You can read the Huffington Post write up on British Invasion here. Please join us on Thursday, December 15th for a screening of Love's Presentation and Richard Hamilton at Night Gallery in Los Angeles. There will be a Q&A after the screening. Love’s Presentation (1966) is the first of many in a series of films on contemporary artists by James in the late sixties and early seventies. The film captures the creation of David Hockney’s famous ‘Cavafy' etchings with a commentary improvised to the film by Hockney himself. Richard Hamilton (1969), made in a true collaboration with the artist over a two year period, traces the forerunner of Pop Art's incorporation of mass media into his work. Please join us for the opening reception of the Lancaster Museum of Art and History's upcoming exhibition British Invasion on Saturday, November 19, 2016 from 4 - 6 p.m. The group exhibition celebrates the work of British artists living in California and includes seven recent paintings by James Scott. A complete list of exhibiting artists can be found here. For more information about Lancaster MOAH, including hours and location, please visit their website. The Huffington Post's review of British Invasion. Opening on November 8th, Bryanston Today brings together art and design work from former and current pupils of Bryanston School. James Scott, an alumni of the school, will have two recent paintings on view at the Mall Galleries on Bryanston's campus. The show will be on view from November 8 - 13th. For full hours and visitor information, please visit Bryanston School's website. This summer James Scott traveled to the Fermanagh County Museum at Enniskillen Castle to celebrate the opening of an exhibition of William Scott's paintings. William Scott: The Early Years is part of an inaugural show marking the re-opening of the museum and historic castle after a major redevelopment. Below is a short video of the reception, where James and his brother Robert were joined by the community to celebrate the opening. To read a full press release from the Impartial Reporter, please visit this link. William Scott: The Early Years will be on view through 2016. On Saturday, October 1st Beyond Baroque Literary and Arts Center in Venice (681 Venice Blvd) is hosting a closing reception for James Scott's New Work show. The reception starts at 3pm and the screening of RB Kitaj and A Shocking Accident will be at 4pm. New Work will continue through November. Based on the Graham Greene short story, the film A Shocking Accident, 25 min (1982), tells the strange story of an English schoolboy growing up. The boy is played by Rupert Everett. The film won the 1983 Oscar for Best Short film. 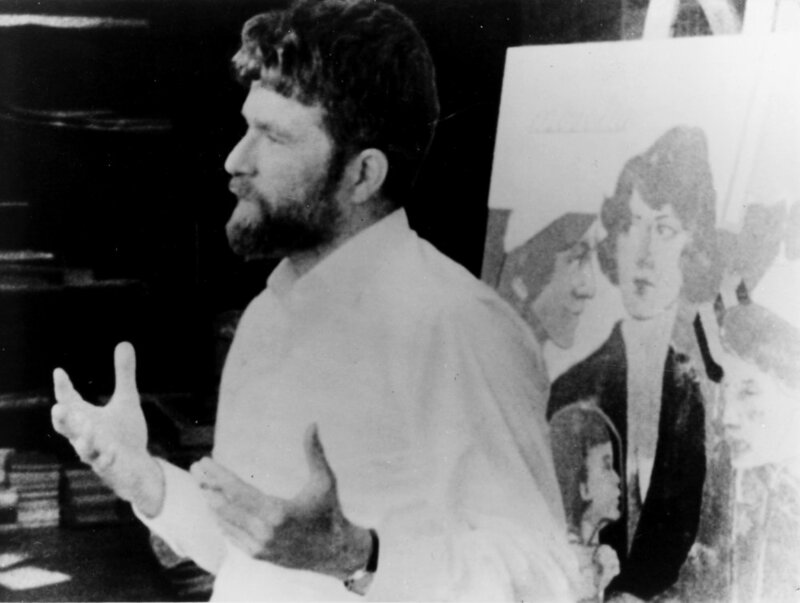 RB Kitaj (1967) (18 min) is the second artist documentary made by James which tracks the artist as he discusses his attitude on art and talks about his work. Kitaj’s literary and political sensibilities shine through and the film provides some interesting insight into a complex creative mind. Please join us for the opening of James Scott's upcoming solo show, James Scott: New Work, at the Mike Kelley Art Gallery at Beyond Baroque Literary and Arts Center in Venice (681 Venice Blvd). The reception will be held on Saturday September 10, from 3-7 pm. 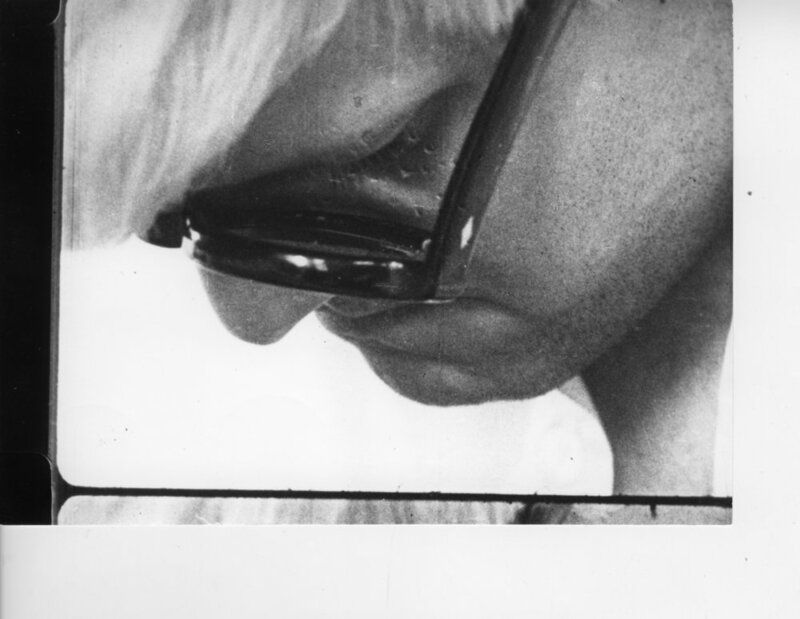 The evening will also include a 5 pm screening of James' film on David Hockney, Love's Presentation (1966). The documentary follows Hockney at work on a series of etchings illustrating CP Cavafy poems, with improvised commentary by David himself. James Scott’s new series of paintings and drawings speak to a practice in which simple configurations of line and shape allude to life’s complexities, occupying the space where form and metaphor become contiguous. Scott has chosen to display brand new works alongside works from the past couple years. The inherent comparative study illuminates the artist’s continued interest in material experimentation and the emergence of a visual language that is all his own. For more information on the show, please visit the Mike Kelley Gallery website or Beyond Baroque's homepage. James has released his latest publication, a collection of drawings titled Hope. Includes 117 full color illustrations. Hard copy available upon inquiry. PDF may be viewed here. The Berwick Street Collective documentary Nightcleaners will be featured in Greatest Common Factor, a film compendium at Istanbul's SALT Galata on February 6 2016. James will be in attendance. All talks and the panel will be in English. The event is free of charge and open the public. New catalogue of selected work (2010-2014) with an essay by Eve Wood and biographical information. 46 full color illustrations. Copies are available on application. In November 1970 Marc Karlin approached James Scott to join with him in making a film about women working at night on giant office blocks to make money to support their families. Forty five years later this film has been selected to be shown as part of All the World’s Futures, at the Biennale Arte 2015 09.05 – 22.11.2015 at Venezia Giardini – Arsenale. They were joined by Humphry Trevelyan and Mary Kelly and called themselves the Berwick Street Collective. All the World’s Futures is a program curated by Okwui Enwezor, writer and editor, the first ever African to curate the Venice Biennale. His interest in language lies behind his selection of Nightcleaners for the Biennale.